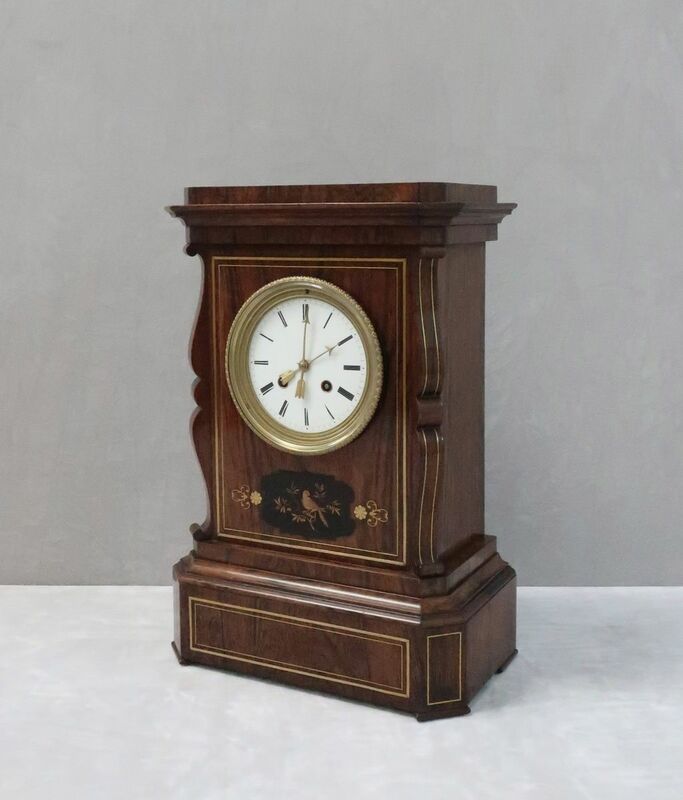 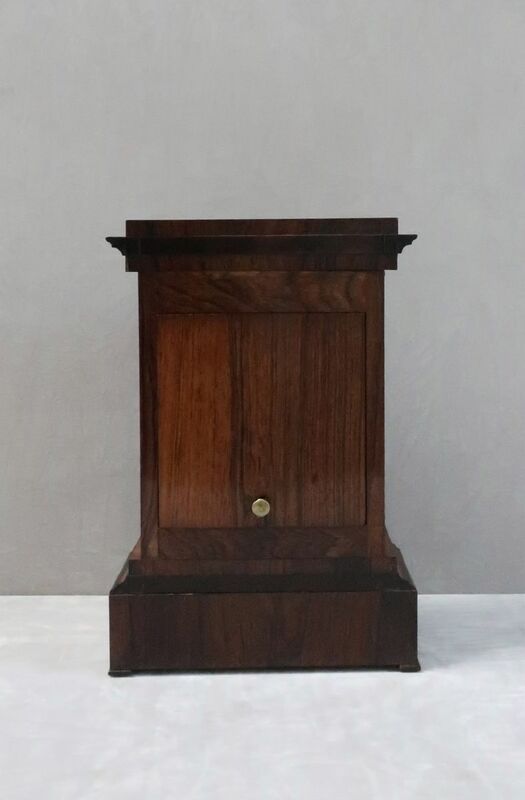 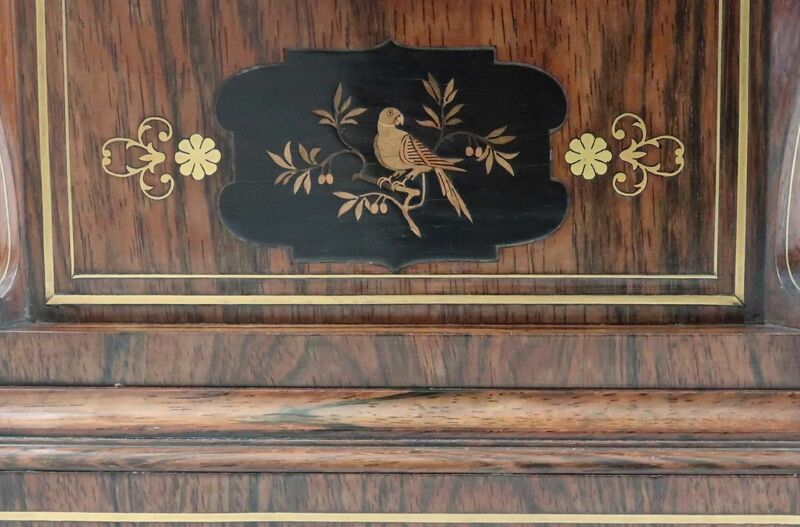 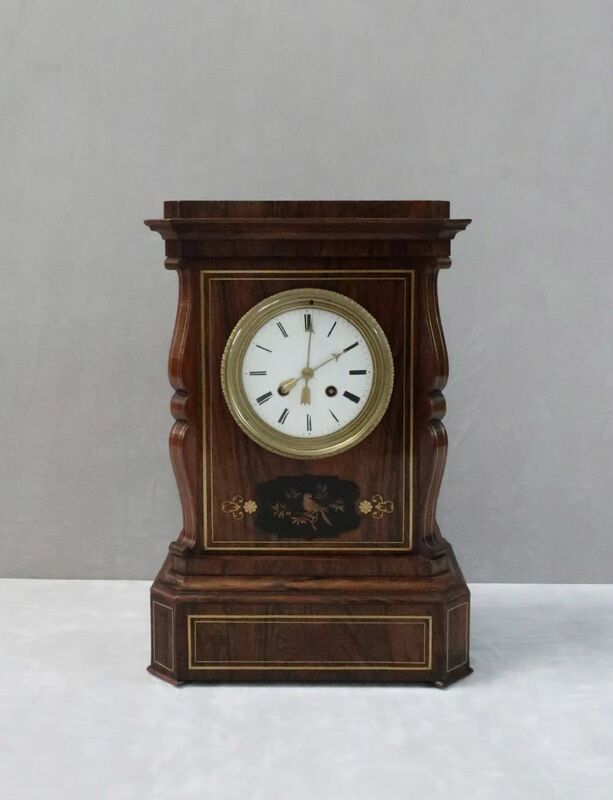 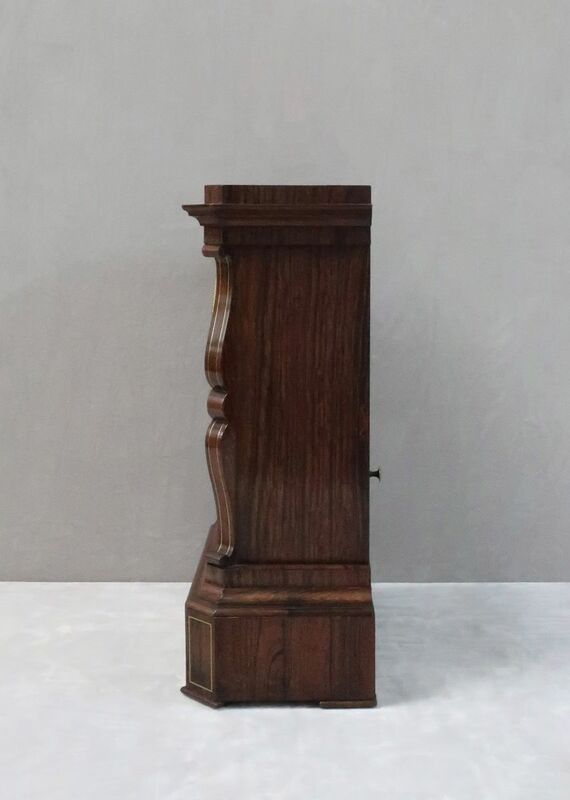 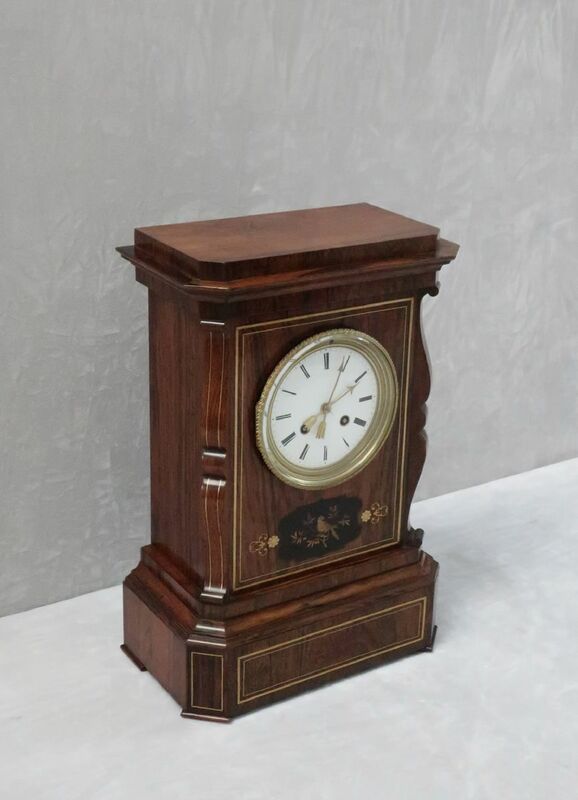 A very nice quality French rosewood mantel clock with double string brass inlay and a very fine detailed inlaid parakeet bird to the front of the case. 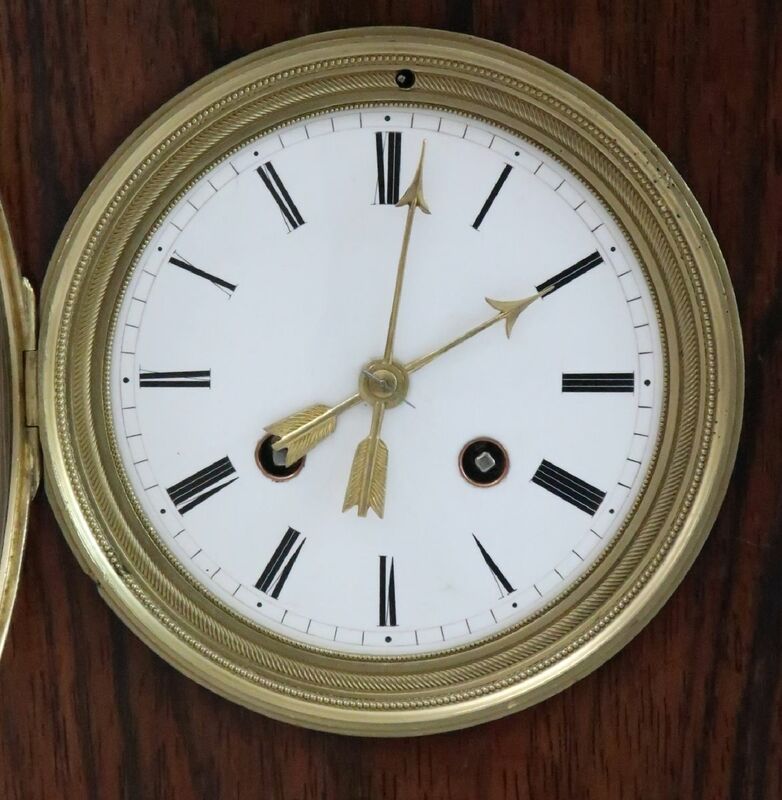 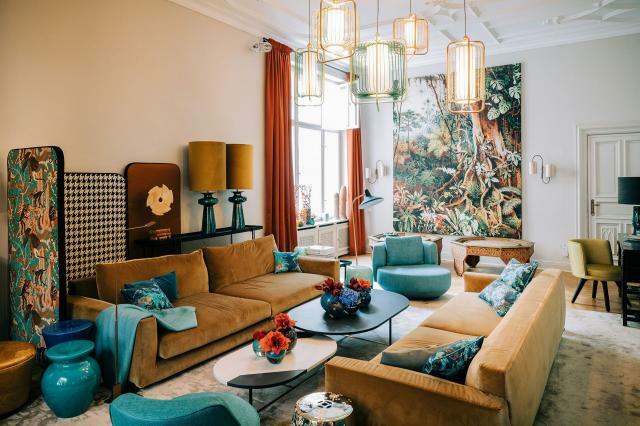 The clock has an enamel dial with arrow shaped hands and an eight day silk suspension movement with outside count wheel which strikes the hours and half hours on a bell. 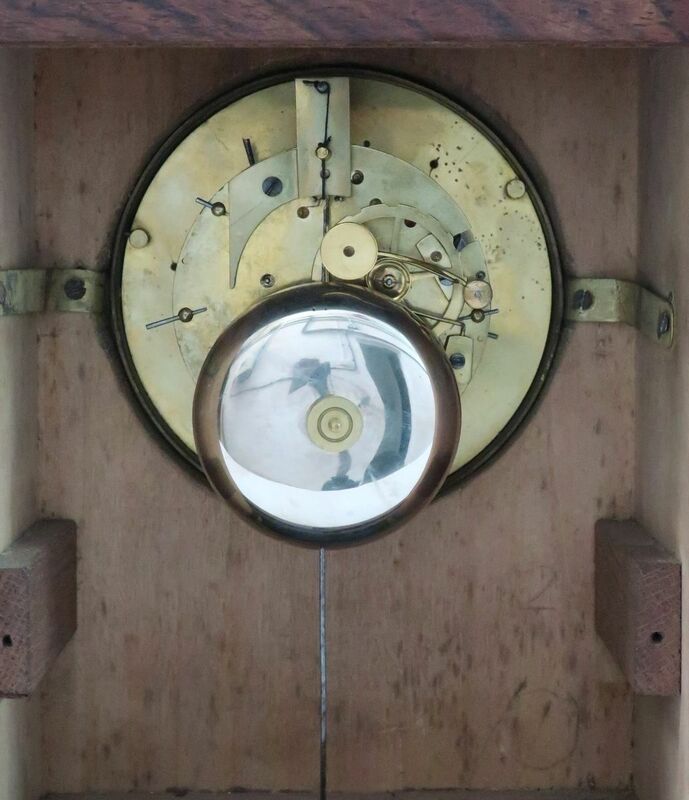 The clock movement has been cleaned and serviced.